Where To Find Videos For Free? The series of blog posts on information around The Feldenkrais Method continues. A commented list of links to video material about Moshé Feldenkrais and his Feldenkrais method. A good place to start when looking for Feldenkrais videos. In my blog post ‘The Feldenkrais Method – Where to find ATMs & podcasts for free?‘ I have created a list of links to blog posts & podcasts where you can find audio material (ATMs & interviews) for free. In my blog post ‘FELDENKRAIS – Where to find interesting Blogs about Feldenkrais? you’ll find blogs of people writing about The Feldenkrais Method and share there insights with the world. Those lists are growing with your help. Drop me a line if you know about sources of material which should be added to those lists. In case it is your own website I appreciate a back link too. Just drop me a line + the information to info (at) movingexperience (dot) eu. I am happy to help. You can find all my Feldenkrais related blog posts via this link: Feldenkrais. The YouTube Channel FeldenkraisInstitut offers interesting Feldenkrais Videos and even FI demonstrations. Alfons Grabher is sharing lessons about movement quality, self improvement, the brain-body connection, alternatives to classical therapy, and how to feel your best. He is a certified Feldenkrais® Practitioner. Mind Body Studies (MBA), developed by physicist and judo master Dr. Moshe Feldenkrais, is a learning system that allows anyone to reprogram his nervous system and to integrate new movement patterns, so that the individual skills can come to its full advantage. MBS Academy is the teaching centre for Mind Body Studies. Founded by Mia Segal, Dr. Moshe’s collaborator and assistant for 16 years, and Leora Gaster, MBS Academy is devoted to spreading the work of Dr. Feldenkrais. This is the YouTube channel of the Feldenkrais Practitioner Noguchi Nobuo from Japan. He has made thousands of videos, diligently and carefully, and creatively. You’ll find e.g. a playlist with Alexander Yanai lessons. This channel is to share some of the work that Stewart Hamblin does to help adults and children with their movement. He is a yoga, Pilates and Feldenkrais practitioner and is based in Rutland, UK. You can find more information at his website www.stewarthamblin.co.uk. Tyler Bishton’s Vimeo Channel is buzzing of many interesting Feldenkrais video clips. Yes, he is the guy in the blue and red overall! 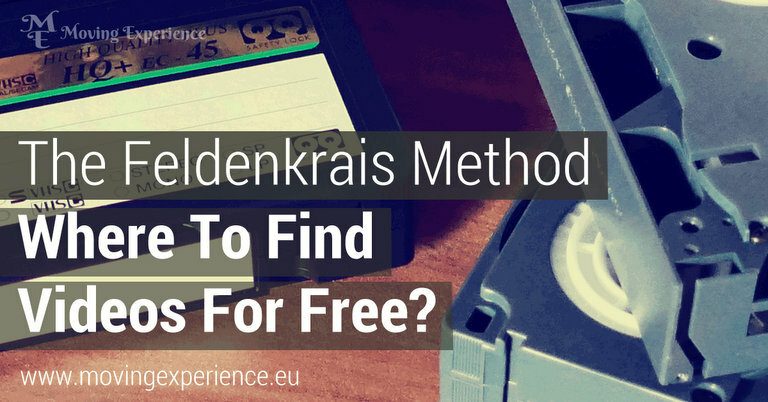 Is your favourite source of Feldenkrais videos missing? Do you have your own website and offering free accessible videos and downloads of Feldenkrais related material? I am happy to add more addresses in exchange for a back link. Just drop me a line via info (at) movingexperience (dot) eu. Where To Find ATMs & Podcasts For Free?